An old tractor that had been falling apart at the seams has been given a dramatic new lease of life in aid of some very worthy charities. 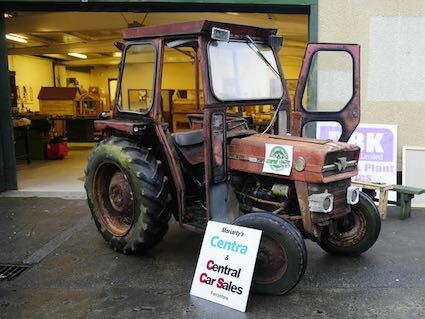 A battered 1968 Massey Ferguson MF135 had been parked up and abandoned until it was acquired by Michael and Mags Moriarty of Moriarty’s Centra and Central Car Sales, Farranfore and donated to the Killarney Valley Classic and Vintage Club. 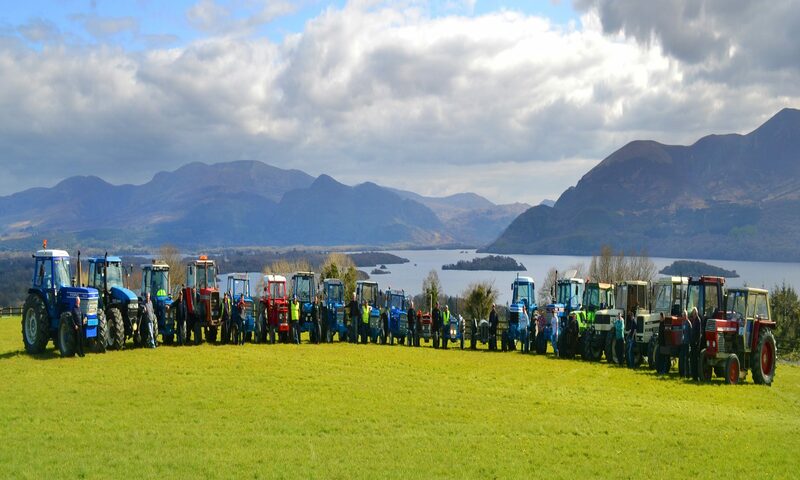 Volunteers spent several weeks over the long months of winter restoring the 49-year-old tractor bit by bit with the support of the Killarney Men’s Shed – where the work took place – and the Kerry Mental Health Association. The end result – a beautifully restored dream machine – was unveiled to the public at a press reception in the Men’s Shed on Saturday, 1st April 2017. 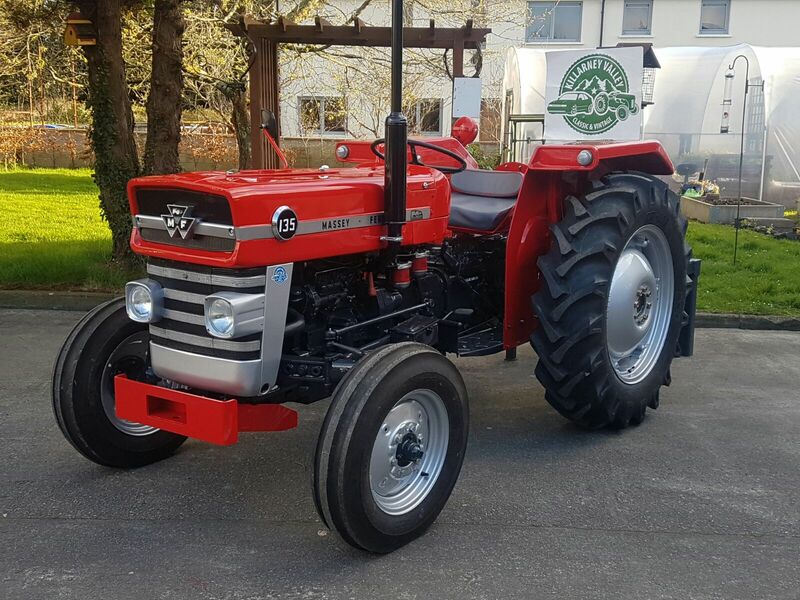 The carefully restored vehicle – now valued at several thousand euro – will be raffled in the coming months and the proceeds will be divided between the four chosen charities to benefit from this year’s South Kerry Ploughing Championships and Harvest Show. Those that will gain are Down Syndrome Kerry, the Irish Pilgrimage Trust, Kerry-Cork Health Link Bus and the Kerry branch of the Irish Kidney Association. 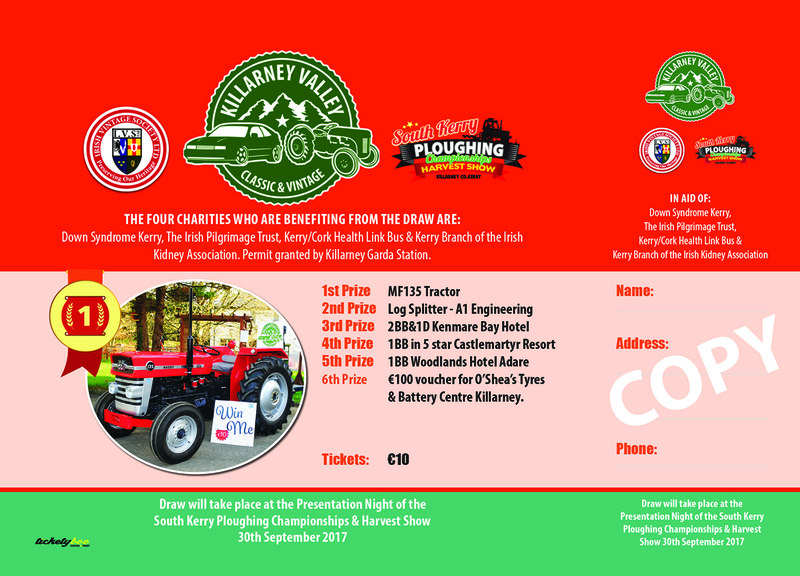 The winning ticket will be drawn on the 30th September 2017 at the Prizegiving Ceremony of the South Kerry Ploughing Championships and Harvest Show which is taking place on Fleming’s Farm in Fossa on Sunday, 3rd September 2017. Be sure to put the dates in your diary! Killarney Valley Classic and Vintage Club Chairman, Tom Leslie, has thanked everybody involved, particularly project managers Bernard O’Sullivan and Thomas Wharton, for their wonderful work and the commitment they have shown. 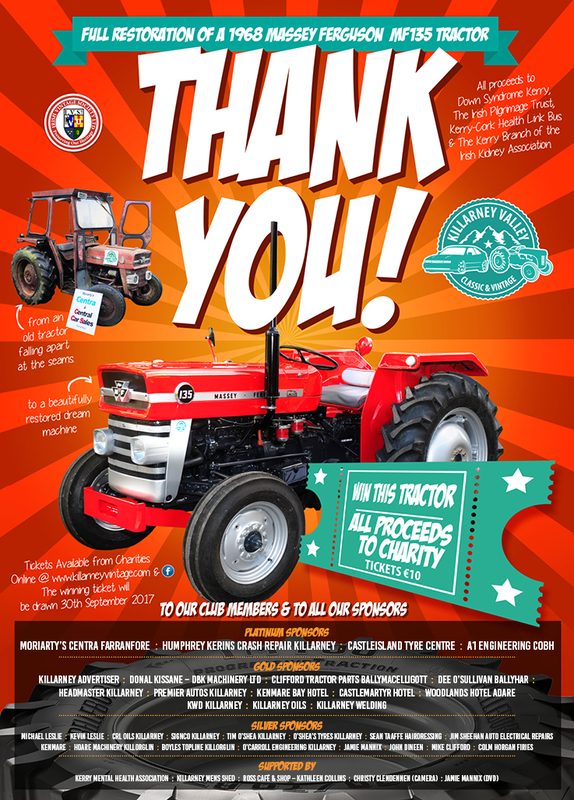 “This project would not be possible without the generosity of the sponsors who got involved and the club members who have given up their free time each week to work on the tractor,” said Tom.